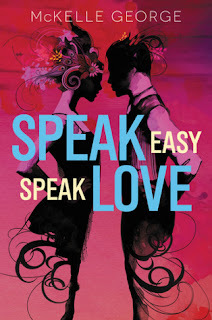 When the AMAZING McKelle George got me approved to read an eARC of her debut, Speak Easy, Speak Love, I WAS OVER THE MOON. The cover was beautiful, I don’t remember the last time (if there ever was one) that I read a book set in the 1920’s during the Prohibition and DID YOU SAY SIX MISFITS FALLING IN LOVE BECAUSE I COULD NOT BE MORE ON BOARD WITH THAT. When I flipped open Speak Easy, Speak Love, it took me all of three chapters to get hooked and read it all through my most recent trip and two flights back home whenever I wasn’t being made to socialise (SO RUDE – WHY CAN’T I READ IN PEACE?) and now, McKelle George is on my auto-buy author list because I LOVED THIS BOOK SO MUCH I CAN’T EVEN. 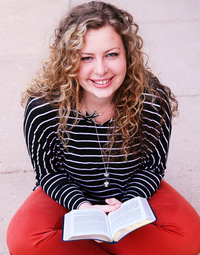 McKelle George writes from the viewpoint of three different characters – Benedick, Beatrice and Maggie – and tells a story through them about other characters; about their lives, who they are, where they came from and who they want to be and it was BEAUTIFUL. She managed to capture the eccentricities of the 1920’s with the booze and the jazz and the love. I was so in awe because every time I picked it back up again, I found myself transported as if in a movie flashback and I LOVED IT! More than anything else, Speak Easy, Speak Love was a coming of age story of six teenagers, one of whom was trying to run her dead mother’s illegal speakeasy, one was trying to become a female doctor, one a writer, one a professional singer even though people didn’t accept her because of her skin colour and it was AMAZING. I loved getting to know Prince, Claude, John, Maggie, Beatrice, John and Benedick and the chemistry and camaraderie they had with each other. It felt like a privilege, getting to see a little bit of their lives and I COULDN’T RECOMMEND IT MORE. I think I especially loved the sparks that flew between Benedick and Beatrice when they met, because they were such different people, with such different backgrounds and world views and them clashing was one for the history books! More than that, I ADORED JOHN AND MAGGIE’S ENTIRE RELATIONSHIP. It was EVERYTHING to me and I flailed about when I realised that they were romantically inclined. Not only will you have, on your hands, a COVER THAT IS TOO BEAUTIFUL FOR WORDS, but also a GORGEOUS retelling about Shakespeare’s Much Ado About Nothing, and characters with such life and chemistry, they’ll stay with you for a long while! 4 stars. Have you had the chance to read an early copy of McKelle George's debut novel yet? What did you think of it? What are some of your favourite Shakespeare plays?